Faculty of Engineering, Civil Engineering Department organized a Excursion trip for Civil Engineering students of B. Tech 2nd & 3rd year students to Mussorie, Rrishikesh & Haridwar from 5th March to 10th March. The students were accompanied by the two faculty members on trip.It was an awesome trip. Students as well as Faculty enjoyed this trip. The students were amazed by seeing the Kempty fall at Mussorie. They enjoyed every moment of the journey by singing and dancing. The students had great experience of river rafting of 16 km in Rishikesh. They had great experience at Haridwar by taking holly dip in river Ganges.They also visited to Mall road & Gun hill at Mussorie & Nilkanth temple at Rishikesh. Students enjoyed a lot during the night stay at camps in Shivpuri.Students and Faculties get a chance to make strong bonding and healthy relations by such kind of trips. Trip to Manali & Rohtang from 1 oct. 2015 to 5 oct. 2015. 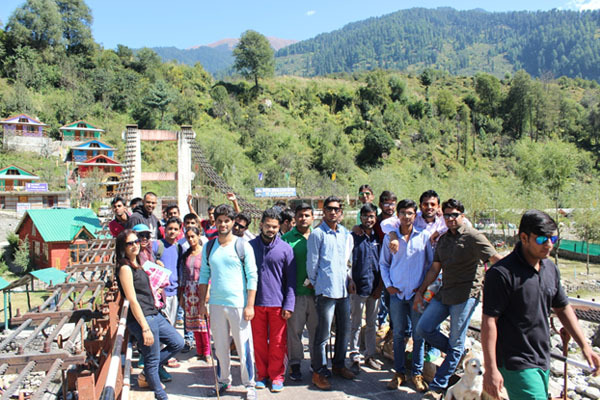 Organized excursion trip for Civil Engineering students to Manali & Rohtang from 1 oct. 2015 to 5 oct. 2015.